Just released today: first trailer for the new Transformers: Age of Extinction movie. We have our first good look at Mark Wahlberg... erm, the Autobots and Decepticons with their new designs. My first impression is not much difference from the previous Bayformers designs. The bot that caught my eye is the one that Optimus Prime rides on. It should be Grimlock, but looks more like a dragon than a dinosaur/T-rex. Here's my G1 interpretation of the above scene. 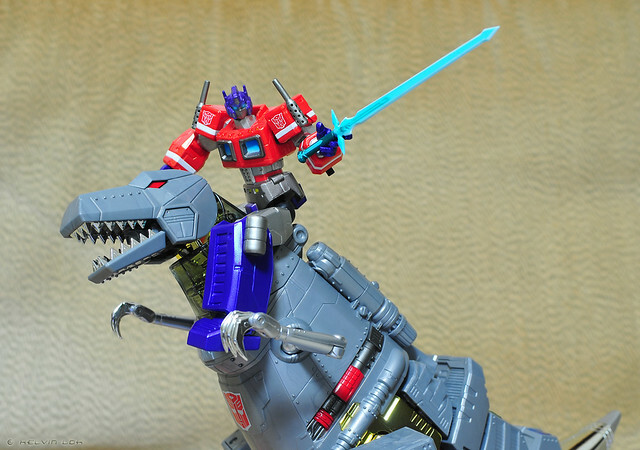 "C'mon Grimlock! Just like in the trailer!" Which Transformer are you most looking forward to in the movie? I have to say it is the Dinobots this time around. Grimlock looks rugged and rough around the edges - just like it should be in my opinion. 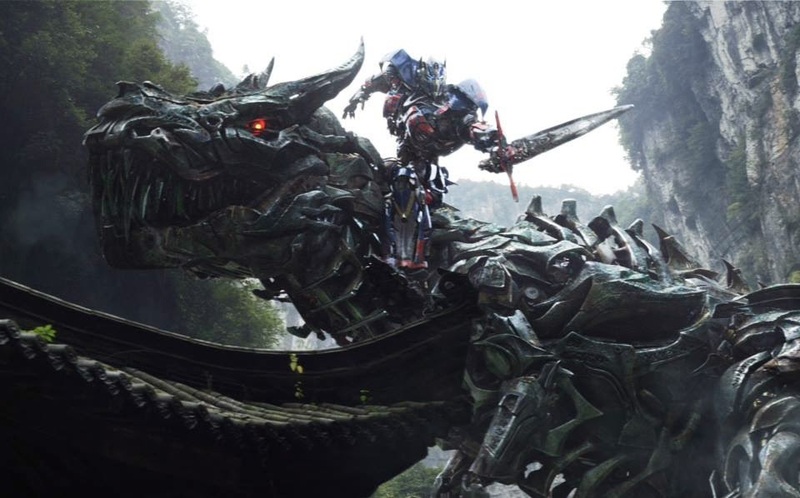 The trailer only shows us one Dinobot(?) Wonder will the movie have the other four? looking forward to watch the movie..
Hope it's better than TF3!